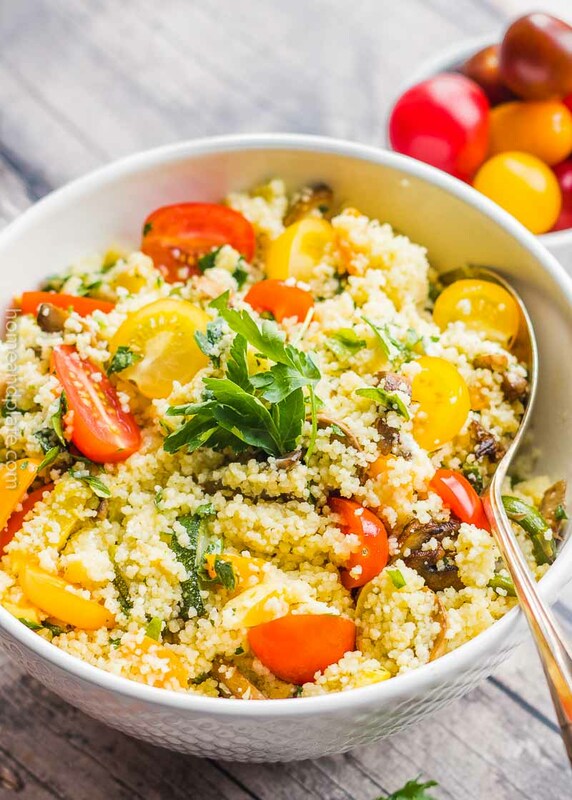 This couscous with grilled vegetables includes zucchini, squash, asparagus, red peppers and mushrooms and is tossed with lemon and goat cheese for delicious flavor. It’s such a treat when we get invited to dinner next door. My neighbor Julie has a treasure trove of Mediterranean recipes handed down through her husband’s side of the family. She has shared many of her family dishes with me and my family. And we are thankful and grateful. 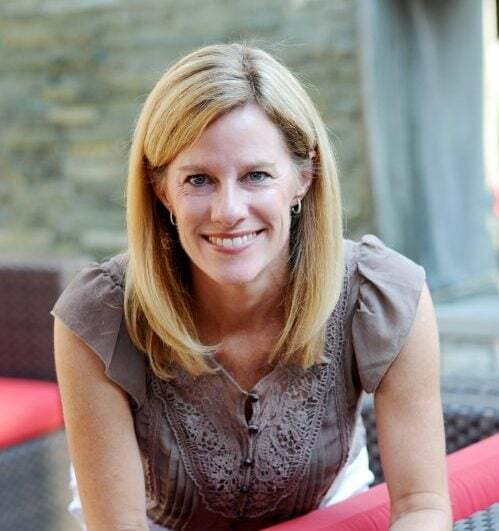 She uses lemon in many of her recipes as well as feta or goat cheese. It’s light and fluffy texture goes perfectly with roasted vegetables off the grill. Pair it with the classic Mediterranean flavors of lemon and goat cheese and you have a delicious, healthy side dish that can serve a crowd. I promise it will not disappoint. Mix it up. Use any summer vegetables including zucchini, squash, asparagus, red peppers and eggplant. Roast them or grill them it does not matter. And use fresh lemon juice because it wakes up the flavor of the grilled vegetables. Be sure to save the leftovers. 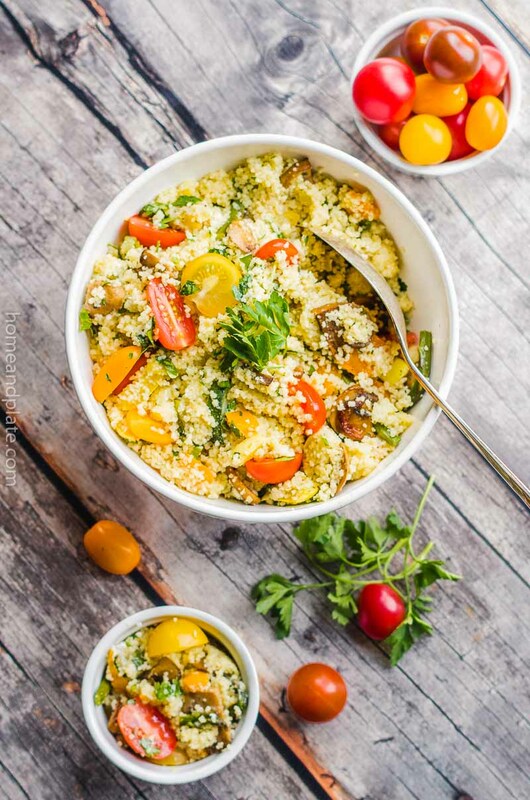 This Couscous with Grilled Vegetables salad is delicious cold. 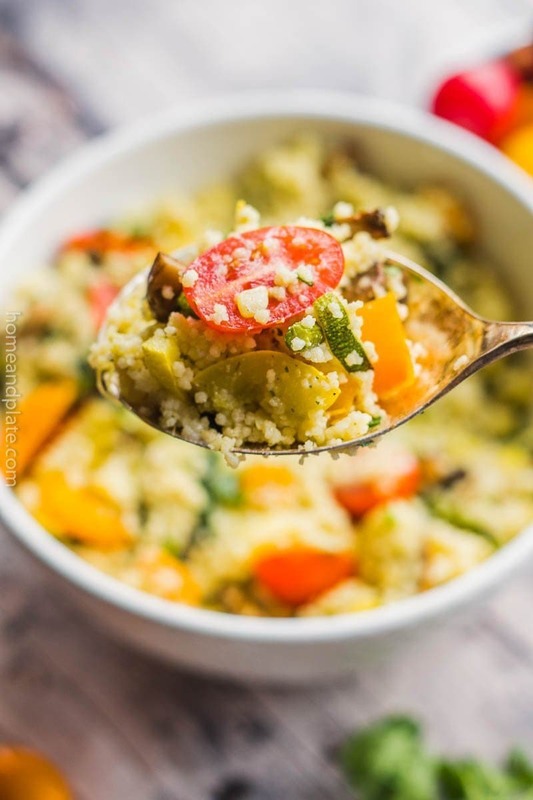 This couscous with grilled vegetables includes zucchini, squash, asparagus, red peppers and eggplant and is mixed with lemon and goat cheese for delicious flavor. Heat the grill to medium heat or preheat your oven to 450°F. Toss the zucchini, squash, bell pepper, sweet onion, asparagus, and mushrooms in 2 tablespoons of olive oil. Season with salt and pepper. Roast or grill the vegetables until they are caramelized, about 15 to 20 minutes. Once slightly charred and softened, set aside to cool. Prepare the couscous according to package directions. Add the lemon juice, zest, 2 tablespoons of olive oil and the crumbled goat cheese to a large bowl and stir to mix. Add the grilled vegetables, tomatoes and couscous to the bowl and stir to incorporate. This is the perfect summer side dish! I love all the veggies and fresh flavors going on in there. It’s such a great side dish that goes with everything in the summer. I hope you like it. 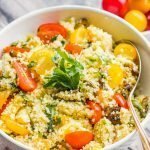 This quinoa looks so fresh and perfect for summer! I think when I make it I might sub feta for the goat cheese (for the kids, I love goat cheese!) YUM! Emily this recipe would be delicious with quinoa. I hope you enjoy it. Yummy! I am loving this for Meatless Mondays!! 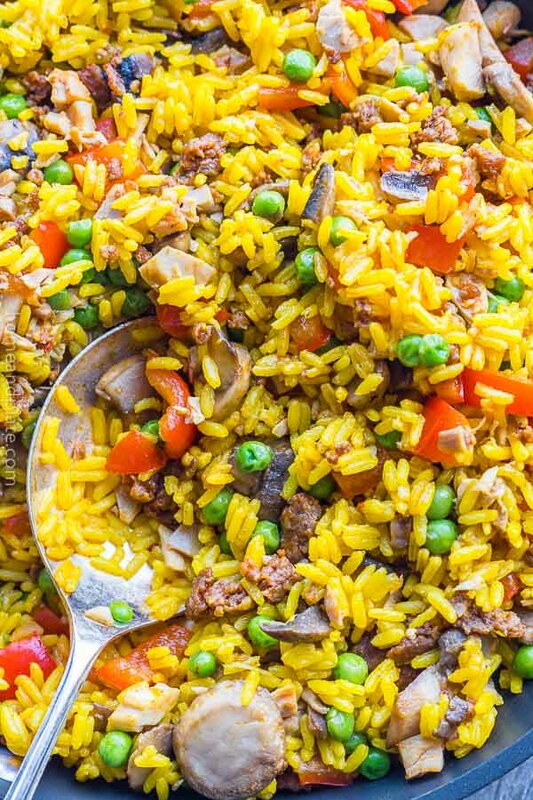 Quick easy and healthy! Full of veggies!